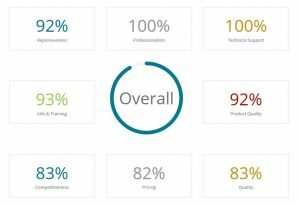 Synbiosis supplies microbiology analysis software. 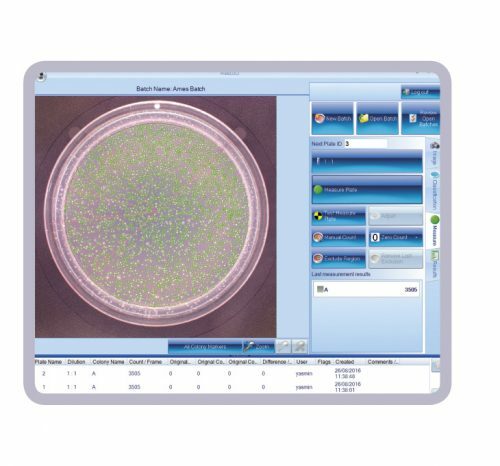 For automatically counting your microbial colonies with applications such as Spiral, AMES tests, SBA (serum bactericidal assay) and OPKA (opsonophagocytic killing assay), Synbiosis provides ProtoCOL 3 software modules. The software analyses plates and marks colonies for clear, precise visualisation. 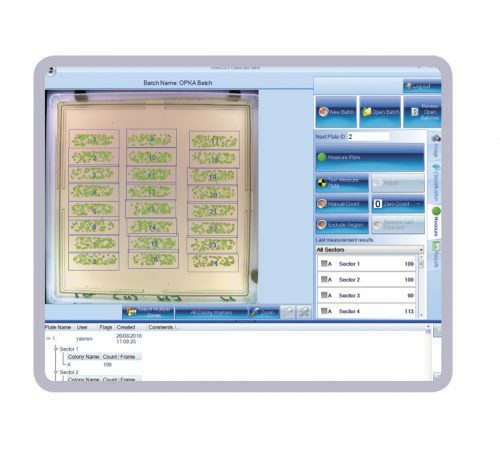 The ProtoCOL 3 software automatically separates touching colonies and you can even train the software to exclude writing on plates, debris and bubbles to rapidly generate precise counts. 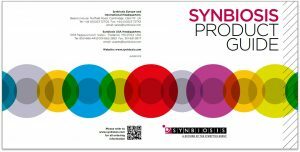 Using the Synbiosis Chromogenic ID colour recognition software you can automatically identify microbes cultured on your choice of common chromogenic agars from world-leading suppliers including CHROMagar, E & O Laboratories, Hardy Diagnostics, Merck and ThermoFisher Scientific. 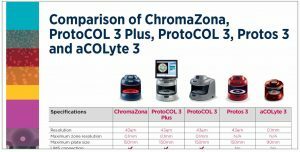 For statistical analysis of your colony count and inhibition zone measurement data from the ProtoCOL 3 system, Synbiosis offers UNISTAT® bioassay analysis software. 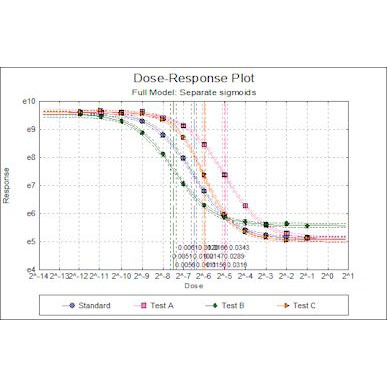 With just one click, you can perform calculations employing many common analytical methods allowing you to rapidly generate accurate antibiotic potency from your AST data and vaccine potency from your SRD (single radial immunodiffusion), SBA and OPKA data. 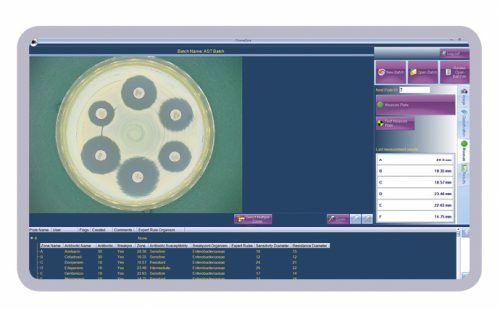 To determine antibiotic resistance from your AST (Antibiotic Susceptibility Testing) plates, Synbiosis offers the eAST software for use with ChromaZona and ProtoCOL 3 automated zone measurement systems. 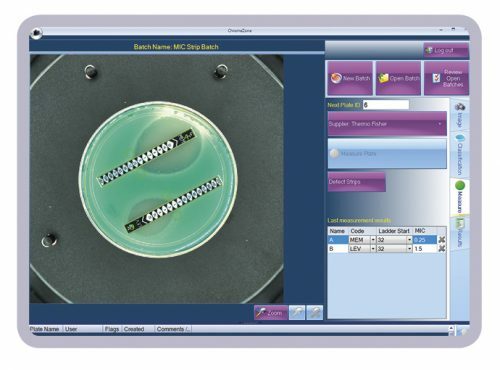 The eAST software measures zones around your antibiotic discs and at the touch of a button automatically compares your results to data from all the tested organisms with breakpoint values in the EUCAST and CLSI databases. The eAST software then lists which antibiotics the bacteria are sensitive and resistant to, rapidly providing you with guidance on which antibiotic to use. 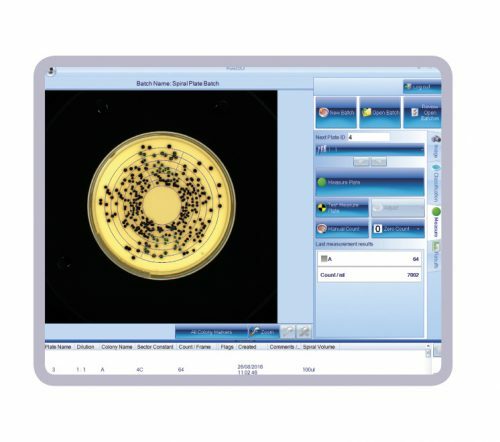 By using Synbiosis microbiology analysis software you can transfer colony count and zone measurement results directly to Excel and other software packages to avoid keying and data transfer errors. 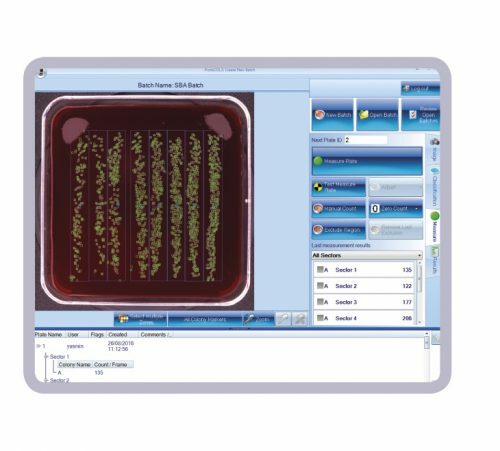 You can also export plate images, guaranteeing precise GLP compliant reporting, as well as providing you with a full audit trail and traceability, making the software ideal for use in highly regulated pharmaceutical, veterinary and clinical environments.